Don’t let the aristocratic appearance fool you; Salukis are fast, active dogs and are not for everyone. Read all about this ancient dog breed. Aristocratic in appearance, Salukis are fast, slim dogs that resemble greyhounds. They have incredible sight, high endurance and are able to withstand harsh conditions. The short, silky coat can be smooth; colors include golden, cream, red, fawn, tricolor, grizzle and tan, and black and tan. The head is long and narrow with large eyes and long ears. The paws have excess fur to offer protection from a variety of terrains, and the tail may also be feathered. 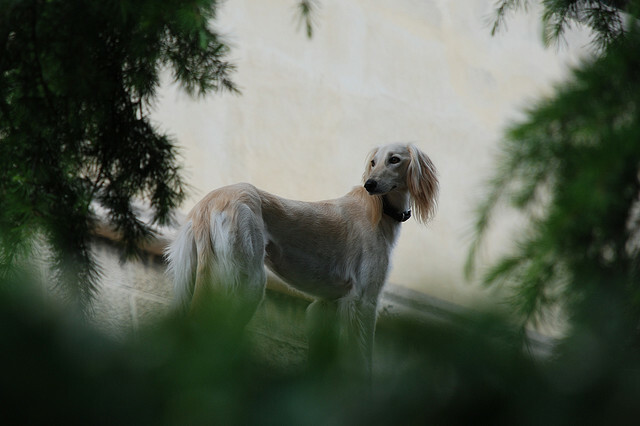 The average height for a Saluki ranges from 23 to 28 inches tall with a weight range of 30 to 70 pounds. The average life expectancy is around 10 to 15 years but can be longer. Named the royal dog of Egypt, the Saluki is one of the oldest known breeds of domesticated dogs. The dogs were so coveted that they were mummified in the same manner as Egyptians; various specimens have been recovered from tombs in the Upper Nile region. Visual records of the breed go back 5,000 years. The dogs were used for hunting gazelle by Arabs and hares in England. First brought to England in 1840 as Persian Greyhounds but not immediately popular, Salukis flourished after the first Arabian Saluki was imported in 1895 from Prince Abdulla in Transjordania by Florence Amherst. The breed appeared in the United States in 1861. They were officially added to the Kennel Club of England in 1923, and the American Kennel Club added the Saluki in 1927. The breed was originally used for hunting. Today these dogs participate in agility, obedience, lure coursing, scent tracking, conformation events and therapy. Salukis are fast dogs with a high prey drive. They can run up to 40 miles per hour and have a tendency to chase after anything that moves. For these reasons they must be kept on a leash or in area with a minimum of five-foot-high fencing or taller. They are friendly, gentle dogs that can become attached to one person. They are easily distracted and can be aloof at times. Indoor living is best for this breed because the dogs are extremely devoted to their families. They are sensitive to discipline and may not come when called, but training with positive reinforcement can be helpful. Salukis are not recommended to live with small animals because they may view them as prey, but they can live with cats with socialization and a cat that asserts its dominance. Salukis have a high need to exercise and love to run, although warming up first is recommended. A daily, brisk walk or jog is best, but remember to keep them leashed to prevent them from running off and chasing a small animal. 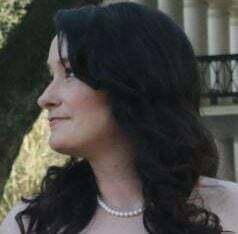 They are likely to ignore recall attempts when they become fixated on a chase. Don’t Miss: How to Train a Dog in Recall — 2 Games That May Help. Salukis are not recommended for apartment life unless you can make a serious commitment to fulfilling their exercise needs. They need safe places to run — the breed club reports that one of the highest threats to Salukis is being hit by a car. 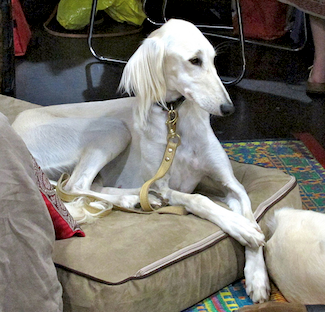 The odor-free coat and minimal shedding makes grooming a Saluki easy. Brushing once per week is sufficient, and you should bathe the dog as necessary. Those long ears require regular cleaning, and the paw pads should be checked for debris and the hair trimmed between the pads as needed. Dental hygiene and nail trimming are also needed. Salukis can be picky eaters and may appear thin because of their high activity level, even though they’ve been well fed. Is the Saluki the Right Dog for You? Don’t let the aristocratic appearance fool you; Salukis are high-energy dogs that love to run and can give chase after anything that moves. They do best with a yard but can be kept in an apartment with an active owner who can meet their exercise needs. They are not recommended for young children or households with other species, but they may accept a cat as a housemate. Grooming and shedding is minimal for the breed, although more grooming will be needed for conformation events. Salukis must be kept in a confined area or on a leash for their safety. If you have the energy to keep up with a Saluki, you might have just found the right dog for you. Please turn first to adoption centers. Check out Petful’s adoptable pets search. You can also check with rescue groups and breeders.